William Hill entered New Jersey’s newly legalized sports betting market as the most recognizable and powerful vendor. Decades of experience in the UK and Nevada give them an advantage and make them a desirable partner for hosting venues. With physical books at Monmouth Park, Ocean Resort in Atlantic City, and a deal that could bring them to the other side of the Boardwalk at Tropicana, William Hill’s anticipated entry to the NJ online betting world was almost anticlimactic. Online has become a major focus for William Hill. In Nevada, mobile counts for 60 percent of the sportsbook’s handle. With the NJ sports betting field becoming more crowded, opening in early September means a big name brings its expertise as college and pro football betting, a peak time for sportsbooks, begins. Surprisingly, there is no welcome offer currently. No free money, no deposit matches, no contests at all. In a market full of enticing offers and new player bonuses, this seems a missed opportunity. Brand strength only goes so far when the competition has bright lights and shiny baubles to get customers in the door. William Hill is a well-known name in the gambling world, especially in the UK. In New Jersey, its claim to fame physical sportsbooks at Monmouth Park and Ocean Resort Casino. For the most part, William Hill NJ sportsbook app is a high quality and straightforward online betting option. It's easy to use and offers an array of bets and sports. However, the site lacks detail and unique additions such as a cashout feature or a more thorough in-game betting option. William Hill NJ is serviceable if not engaging. On your computer, go to the William Hill main site and click on the link to the New Jersey app. Register with your personal information. Unlike other books, Hill uses your account number as your login. For mobile, you can download the app through the site or by searching in the Google Play Store or the Apple App Store. If you use a synced browser on both devices (such as Google Chrome), your login info should transfer seamlessly. Both options will require downloading tracking software to verify your location as per state regulations. Signing up is straightforward. Enter all your information, check the boxes, and create an account. As with other sites, you can view prices if you’re not in New Jersey. However, you must be verified as located in the state to place bets. The website has a variety of options, including in-game betting, single-games, parlays, teasers, and more. While players can bet golf and other sports in person, no golf appears right now online. William Hill has a betting option called InPlay, which is its in-game betting page. It’s separate from the regular menu of options. If a price is bright on the screen, it’s a live bet. In college football, not all the active games will be offered for InPlay betting. Not all bets are available for all games. Those that don’t have a moneyline just show the live spread on the InPlay screen and are separated from those with a live moneyline bet. Click on a game to see all the options. It’s football season, so let’s get weird! William Hill established themselves on the East Coast as they partnered with Delaware Park to take parlay cards on fall weekends. Payout increases with each bet added. They can combine college and pro games. Pick as many bets as desired up to 10. A small bet can become thousands if the bets hit. If one of the legs push, that bet drops out and payout goes to the next level. 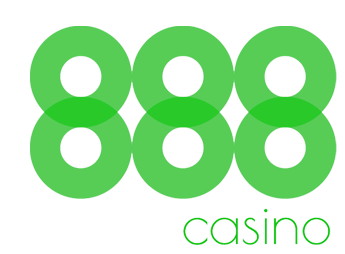 For multigame bettors, they can link bets together in various combinations for even higher payouts with round robins. Select the games, then enter an amount to find out the potential payoff. William Hill does the math for you. Players can take a few spread bets and get extra points in exchange for lower odds. Players can add from six to 14 points on the point spread on each game to get some space on close games. The more points taken in the teaser, however, the lower the return payoff. Future bets are available through almost all available sports. But there aren’t as many props as other books have. To withdraw, you can take cash at a William Hill location in the state or return it to the prepaid card. There is currently no option to get money returned directly to a bank account or have a check mailed. PayPal and Neteller are currently unavailable at William Hill. The site is well organized and easy to follow. Click on an option on the left menu to populate the page. Prices appear in the middle. Click a bet and it fills into the bet slip. Add the bet to get the payout. It’s fairly straightforward. For those who prefer the three-wide spread for bets (spread, money line, totals), go to the Daily List of games. Click an event or the “Click More” link to see the full menu of bets. InPlay allows players to focus on a specific sport happening live to watch those odds. Drop-down menus and buttons make account access easy. Players can sign up for the William Hill accounts at retail locations in New Jersey. There doesn’t appear to be any options to upgrade accounts or track loyalty programs within the state. William Hill offers customer service over the phone, through email, and also via live chat. 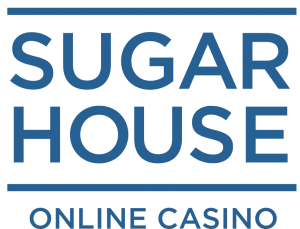 Compared to the physical location and other NJ online sportsbooks, this site may be a disappointment to some players. Other brands provide more betting options for games. NFL games have a couple of prop bets per game on Sunday. And not all games are available for in-play betting. There’s also no welcome bonus here but players in Nevada can earn extra money for joining. It feels like something’s missing. William Hill has brought a solid, clean, straightforward product to a crowded market. But it doesn’t stand out. The 20-cent vigs on games are standard but not specifically engaging. For a brand with their reputation and online presence in other states, the public expects more. You must be 21 or older to bet legally in New Jersey. Do you have to be a New Jersey resident? No, you just have to be in New Jersey to play. You can see prices outside of New Jersey. Will my credit/debit card work to deposit funds? That depends. Some banks such as Bank of America and Wells Fargo still refuse to transfer funds to online betting accounts. Check with your bank before attempting to deposit. What can’t you bet on In New Jersey? Events involving New Jersey-based college teams or most college events happening in New Jersey are not eligible for action. No high school events are eligible either. Is there a cashout option at William Hill NJ? There is no cashout option available for William Hill tickets.